It will do 124 miles per hour... anywhere. 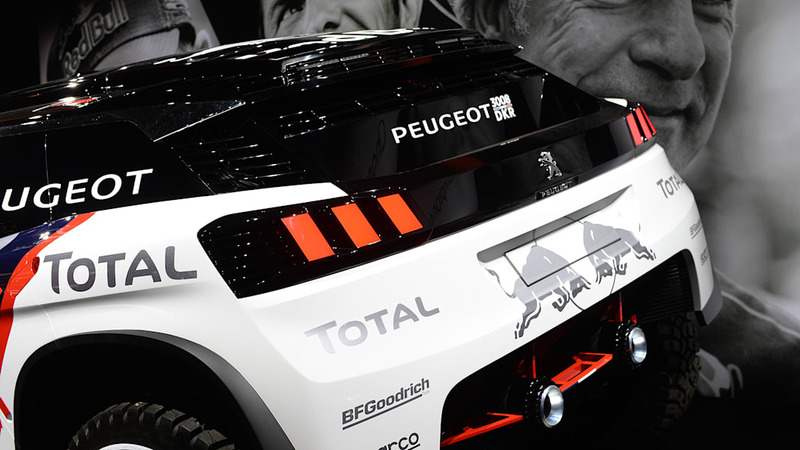 Peugeot's long and distinguished racing history has overwhelmingly focused on off-road racing. Sure, there were stints as an engine provider in Formula 1, and it wasn't that long ago the lion rampant was challenging Audi at the 24 Hours of Le Mans. 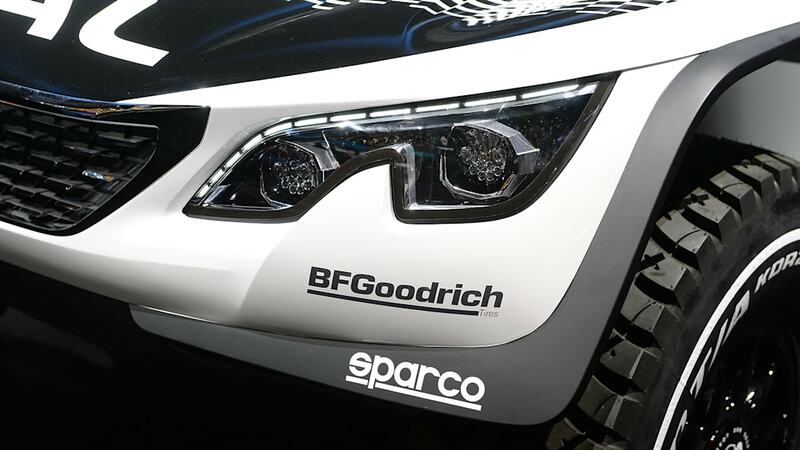 But off roading – whether in the World Rally Championship, Pikes Peak, or Dakar – is at the brand's heart. 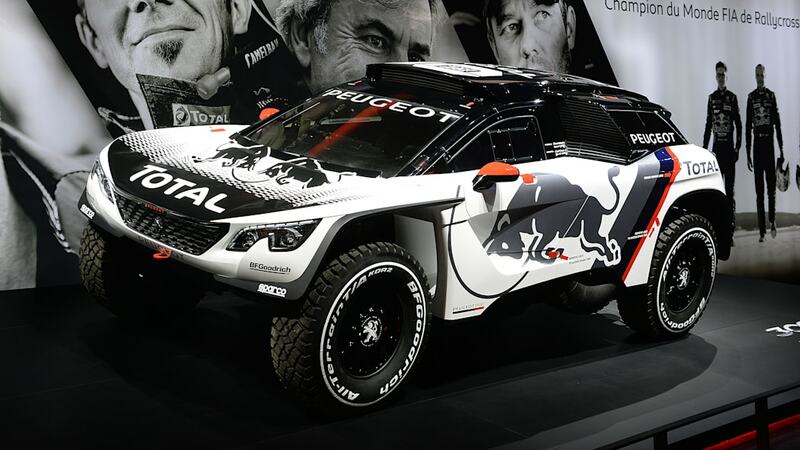 And this is its latest dirt-ready entry, built on the momentum of last year's Dakar Rally win with the 2008 DKR racer. 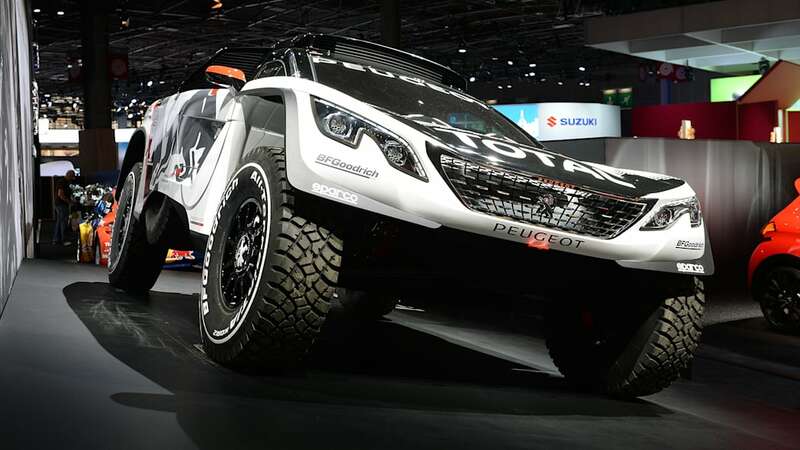 While Peugeot is calling its latest rally raid car the 3008 DKR, the reality is, it has virtually nothing in common with the redesigned crossover that sits across the show stand at the Paris Motor Show. 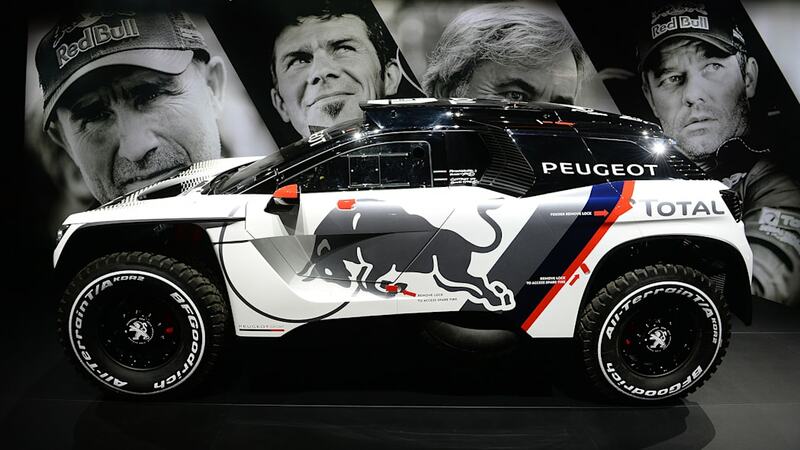 Instead a happy 2.0-liter diesel built for efficiency and located over the front axle, the 3008 DKR uses a 3.0-liter, twin-turbodiesel V6. It sits behind the driver and navigator, and sends all 340 horsepower and 590 pound-feet of torque to the rear axle through a six-speed sequential racing transmission. 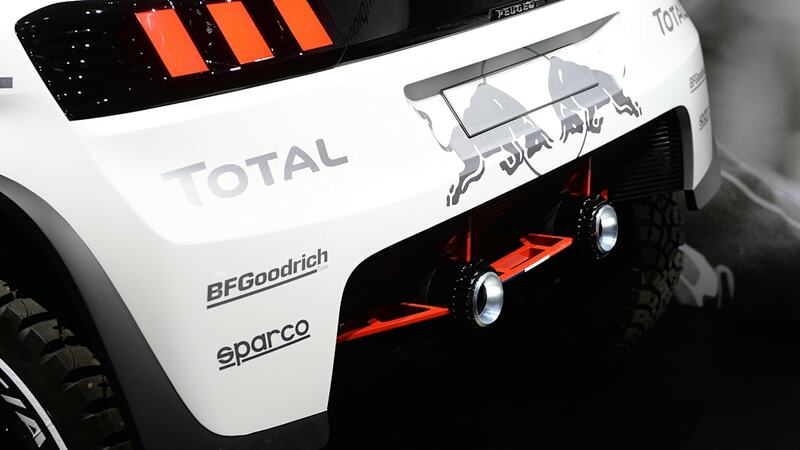 That powertrain is good for a top speed of 124 miles per hour over, well, just about anything. 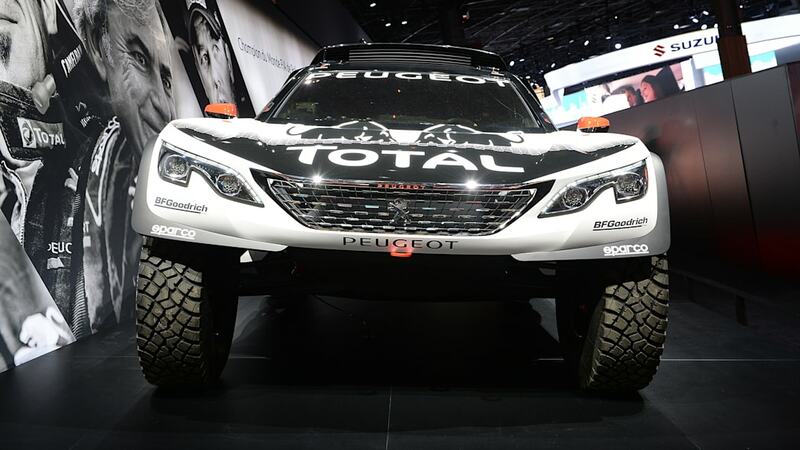 Peugeot's engineers built in a silly 18 inches of travel in the double wishbone front and rear suspension. 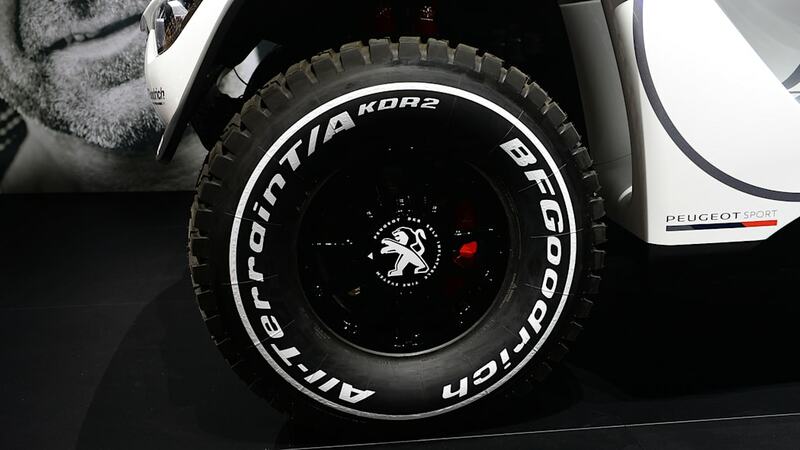 There are two dampers per wheel. It's a silly, ludicrous piece of machinery. And it looks amazing, to boot. 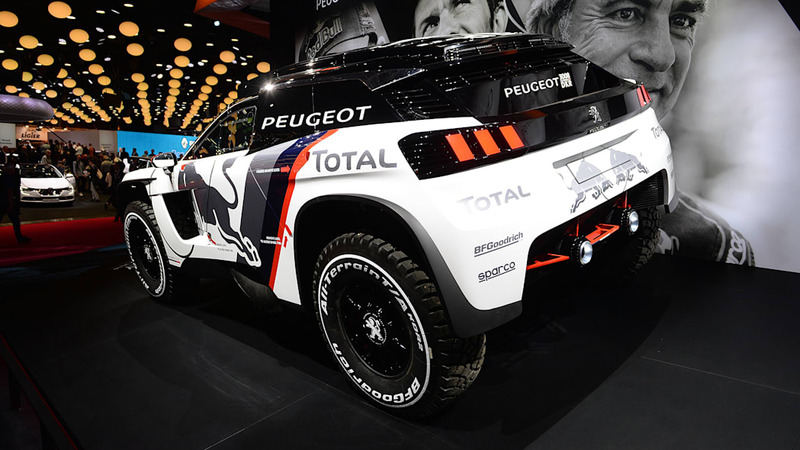 Team Peugeot Total will field the 3008 DKR in next month's Rally of Morocco with rally legend Carlos Sainz and Lucas Cruz at the wheel. 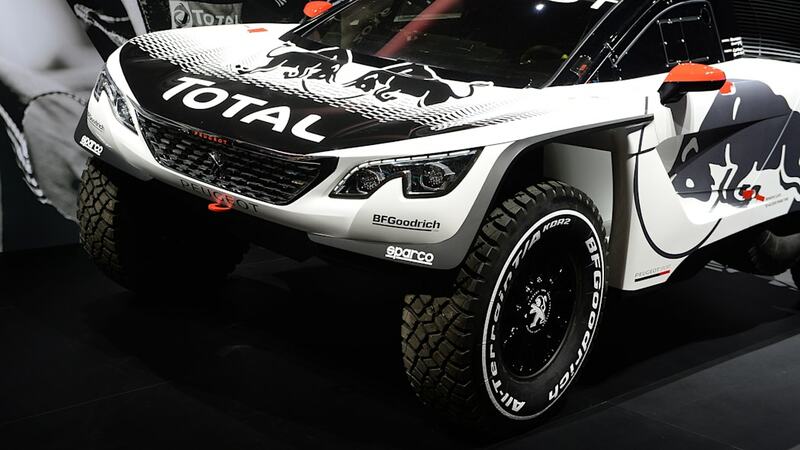 The race debut comes on the heels two test sessions covering some 5,000 kilometers on some of the roughest and most challenging terrain on the planet. 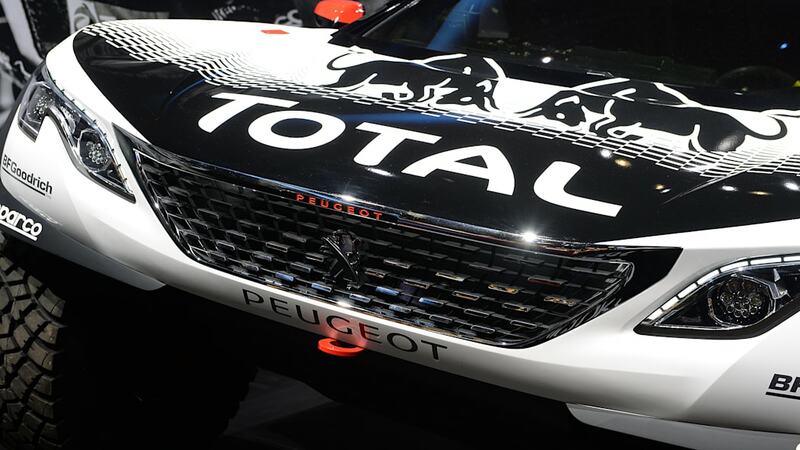 The Rally of Morocco practice warm-ups start October 2, with the 149-mile first stage running the next day.